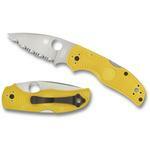 The iconic Native has been a mainstay of Spyderco's American-made production line for decades. Now all the highly evolved performance features of this incredibly popular design have been distilled into a compact gentlemen's folder with a 2.47" blade. Its full-flat-ground CPM-S30V stainless steel blade includes a prominent index-finger choil that flows seamlessly into the contours of the textured G10 handle scales. The result is a compact, ergonomic package that still offers a full, four-fingered grip and excellent control. This version of the Lil' Native goes a step further by adding their high strength Compression Lock mechanism and a low-profile deep-pocket wire clip that is reversible for left or right-side tip-up carry. The only thing I'm going to ding this for is that there's no jimping along the spine or the finger choil like the other models. The perfect knife for suburban office work. The deciding factor in this purchase was the compression lock, which is my favorite! The size makes for a very subtle, yet sharp knife. I’ve had no problems touching up the blade on a Sharpmaker. I am considering the serrated version of this also. Just a wonderful knife! 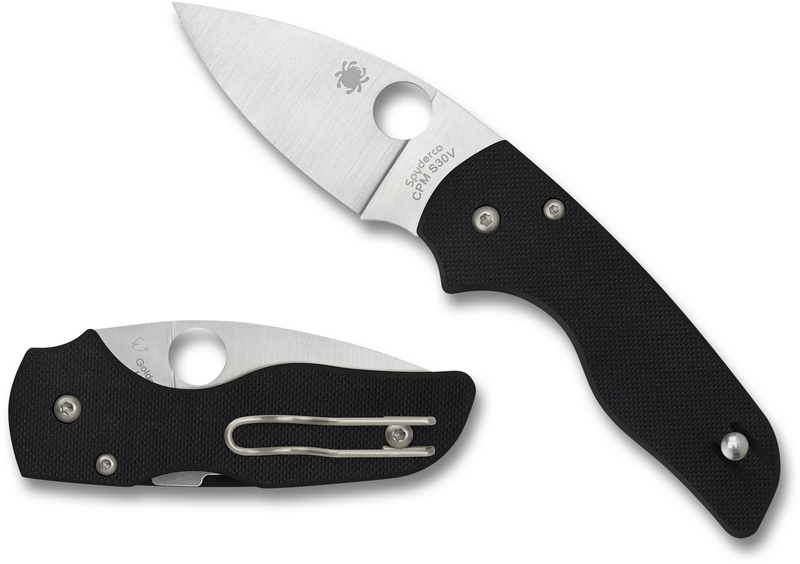 This knife comprises of virtually all the best traits that the Spyderco series has to offer and compresses it into one small package of a knife.Compression lock from the Paramilitary 2. Elimination of the lanyard hole as in the Yojimbo 2 in order to optimize blade/handle ratio. 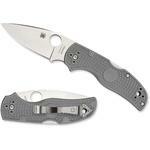 The most sought after pocket clip as in the Sage 5 (wire pocket clip). Overall size is comparable to the Dragon Fly 2 but with G10 handles (I often have these random moments of panic that I somehow lost the knife because it's so light that I don't physically feel its presence). I had the opportunity to test the knife in field dressing a couple of wild hogs. The s30v held up great but what really made the knife sustain its edge during the procedure was utilizing the tip for a majority of the cuts. This knife is an epidermal zipper. I didn't get a lot of biological material in the handle area either since the overall size is small enough to where your hands will consume the entire 3/5 of the knife; shielding the openings within the handle from any materials that would enter otherwise....and it Spydie flicks like a boss once broken in. Hey, I wanted to share "Spyderco Lil' Native Compression Lock Folding Knife 2.47 inch CPM-S30V Satin Plain Blade, Black G10 Handles" with you from KnifeCenter.